WASHINGTON — The fight over extending benefits to “blue water” veterans who served on ships off the coast of Vietnam is now pitting former Veterans Affairs secretaries against each other, adding to the confusion over Congress’ next steps. Last week, four former VA secretaries — Anthony Principi, Jim Nicholson, James Peake and Bob McDonald — wrote to the Senate Veterans’ Affairs Committee urging lawmakers not to grant presumptive illness status to roughly 90,000 blue water veterans who claim exposure to the chemical defoliant Agent Orange, saying there is insufficient proof for their cases. The recommendation is in line with arguments laid out by current VA Secretary Robert Wilkie earlier this month. Department officials have argued that granting the presumptive status to veterans could upend the system by establishing new, non-scientific criteria for awarding benefits. 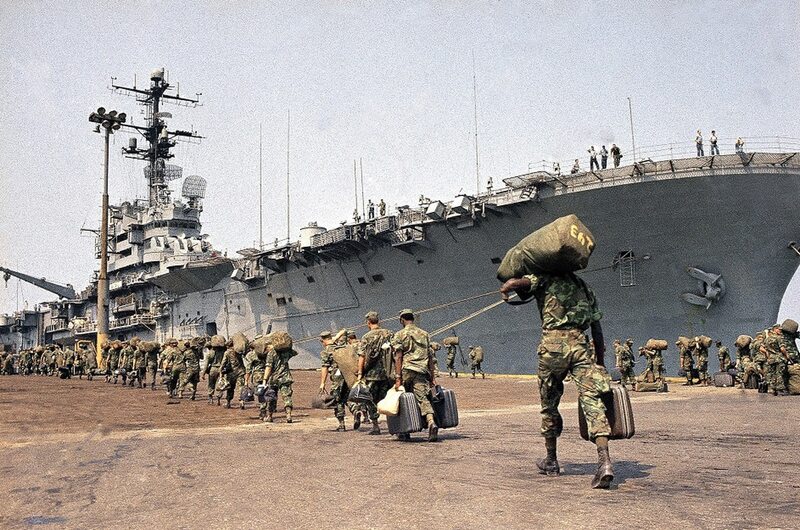 The department opposes a plan that would automatically assume veterans who served on ships near Vietnam during the war were exposed to Agent Orange. But advocates for the Vietnam veterans have argued that scientific proof of exposure is impossible given that proper sampling was not done decades ago, as the ships patrolled the waters around the South China Sea. They say rare cancers and other unusual illnesses clustering among the blue water veterans should be enough to spur action from Congress. Earlier this year, members of the House agreed. They overwhelmingly passed legislation that would require VA officials to automatically assume those veterans were exposed to Agent Orange for benefits purposes, the same status granted to troops who served on the ground in Vietnam or on ships traveling upon inland rivers. Under current department rules, the blue water veterans can receive medical care for their illnesses through VA but must prove toxic exposure while on duty to receive compensation for the ailments. Advocates have argued that VA officials are systematically denying those claims. In a letters to Wilkie and the committee this week, John Wells — counsel to the Blue Water Navy Vietnam Veterans Association — blasted the department’s stance as unfair and inhumane. Wells and other advocates have an ally in at least one former VA leader. David Shulkin, who was fired by Trump earlier this year, petitioned the Senate committee this week to move ahead on the issue, calling it a matter of honoring the veterans’ sacrifice. “As Secretary, I was faced with the dilemma of what to do when there was insufficient evidence to make a reasonable conclusion,” he wrote. “I stated then — and continue to believe — that in the absence of reliable data to guide a decision, the answer must not be to simply deny benefits. Moving ahead with the legislation could prove expensive for the department. House officials estimated the cost of extending benefits to be about $1.1 billion over 10 years, but current VA officials have insisted the total is closer to $5.5 billion. For now, the legislation remains stalled in the Senate Veterans’ Affairs Committee. Chairman Johnny Isakson, R-Ga., has said the issue is among his top priorities but has also voiced concerns about whether the House measure as written covers the cost and scope of the problem. Wilkie is scheduled to appear before the committee on Sept. 26 to discuss a host of reform efforts at the department since he took over the top leadership post on July 30.